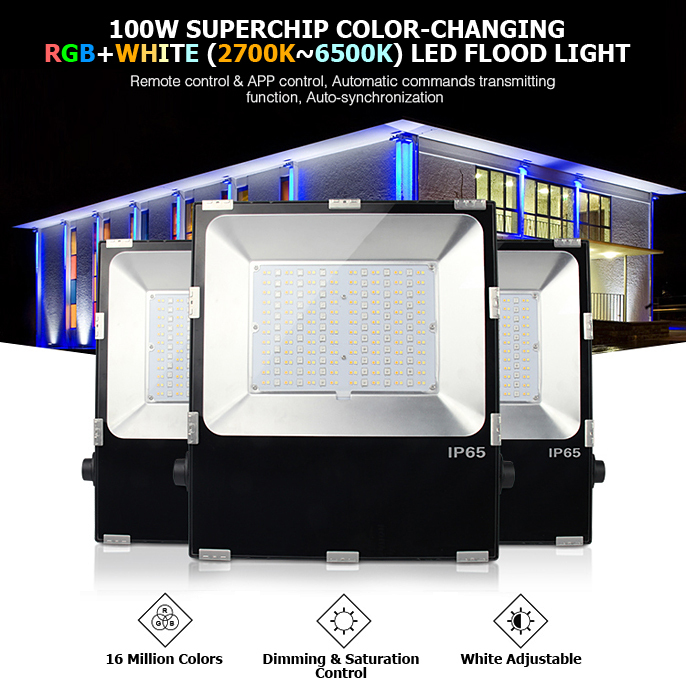 100 Watt LED RGB + White (2700K-6500K) 85VAC~265VAC Exclusive Superchip Color Changing LED Flood Light. Comes with an adjustable trunnion mount bracket for ez install almost anywhere. Please see our installation guide above for detailed installation instructions. These LED Syncable Color-Changing + White LED Flood Lights are as bright as 800-1,000 Watt quartz halogen lights or 300-350 Watt HID Lights yet consumes at least 75% less power. Go green and save $$$. Go LED! LUMENS: 9,000 Lumens when in White light mode. 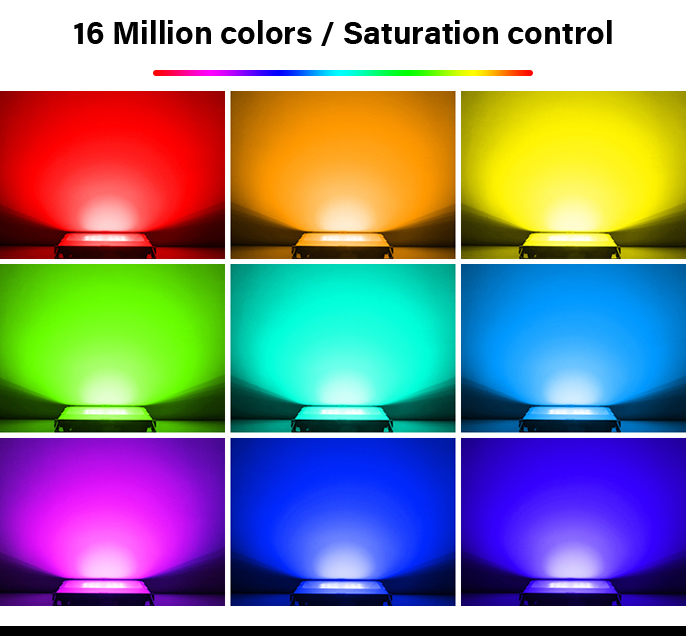 Lumens will naturally vary depending on the color output you set these lights to.